When we first started planning our family vacation to Costa Rica in March 2016, we knew that in addition to exploring this beautiful country we also wanted to help out in some capacity. We started to do some research online and came across an organization called Pack for a Purpose. 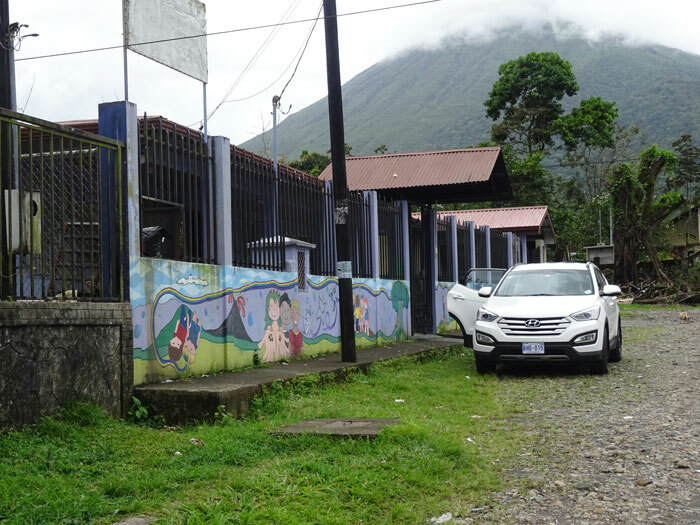 There were several projects listed in Costa Rica that we were interested in supporting, therefore we started to purchase the listed supplies to bring with us. Then we got to thinking, wouldn’t it be great if we could visit the projects ourselves and give them the supplies in person? We contacted the accommodations associated with the projects on the Pack for a Purpose website well in advance of our trip to see if it would be possible to arrange a visit. 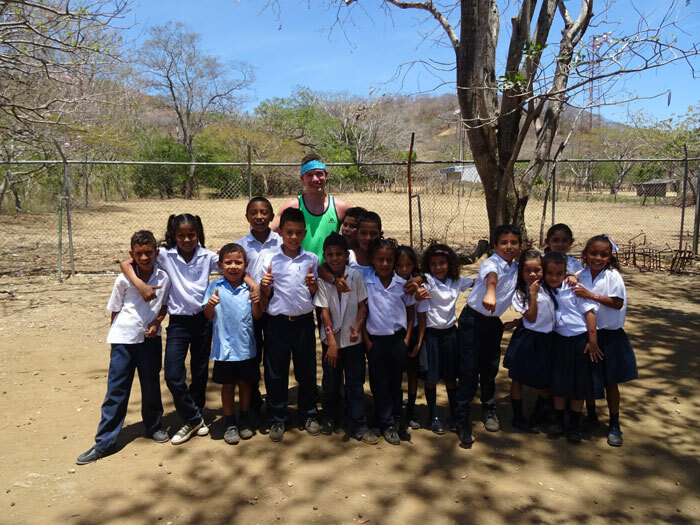 Our contact for La Fortuna orphanage, also known to the locals as Hogarcito San Bosco de la Fortuna, was Wendy Holt from Villa Hermosa and our contact for Los Ranchos School, a rural school outside of Tamarindo, was Helen Soto from Hotel Capitan Suizo. 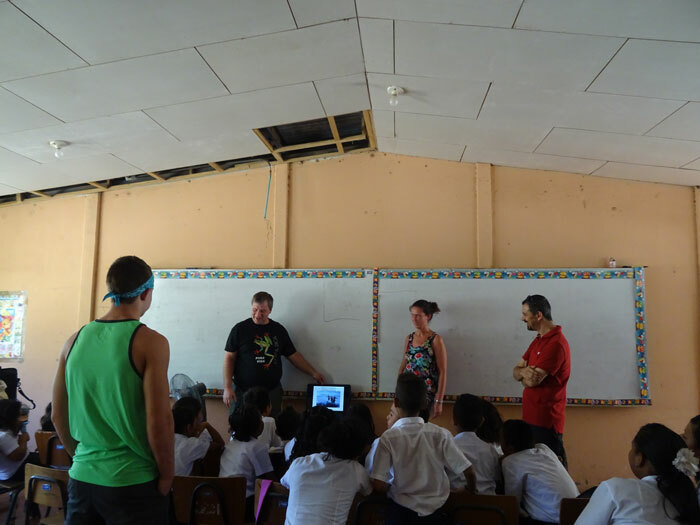 With much planning as well as support from our local contacts in Costa Rica we were able to make this dream a reality! Wendy and Helen were able to contact the staff at the school and at the orphanage to arrange a visit in advance of our arrival. While in Costa Rica, we were able to spend a day at both locations visiting with the children and helping out where we could. We (my husband and I, our 16-year-old son, our 14-year-old daughter and her friend) managed to pack 25 lbs of supplies to take with us to the orphanage (hygiene supplies such as soap, toothbrushes, toothpaste and washcloths as well as books, stickers and school supplies). When friends and co-workers heard what we were trying to do, they also wanted to help and gave us supplies to pack as well! 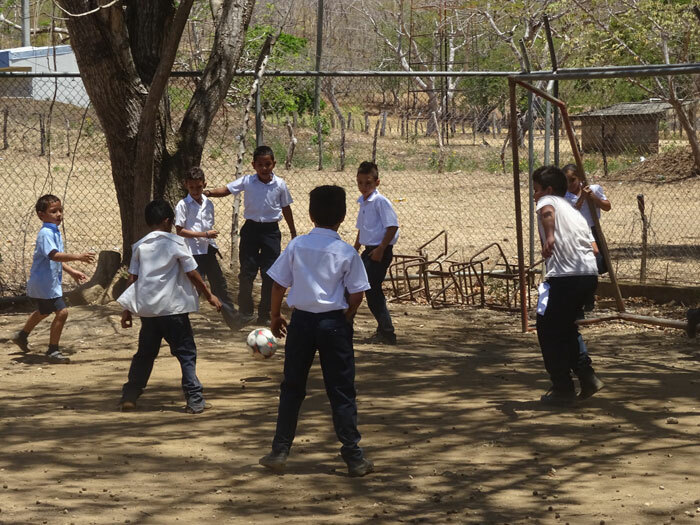 We also packed 6 soccer balls, which were a big hit with the children when we arrived! Once we arrived at the orphanage we also asked the staff for a grocery list of items they were in most need of. Although we didn’t speak the language, we managed to obtain a list based on a lot of pointing and hand gestures. The staff were so appreciative when we came back with a trunk full of items such as cleaning supplies, food, diapers and formula. During our visit at the orphanage, the staff gave us a short tour and then we spent most of our time interacting and playing with the children. Despite their circumstances, the children’s spirit and enthusiasm was contagious! They enjoyed colouring and reading story books, even if they were in English! As we also brought a lot of stickers and paper, we also had fun doing arts and crafts with the children. For the protection of the children in the home, we cannot include any photos of our time here, but we will never forget their smiling faces! We brought an additional 55 lbs of supplies to the school (including 12 soccer balls, lots of school supplies as well as toothbrushes and toothpaste). We had prepared a Powerpoint presentation about Canada to share with the students and they really seemed to enjoy this, especially learning about snow!! Fortunately, Helen was able to join our family at the school to translate for us as our Spanish, beyond the basics, is very minimal. 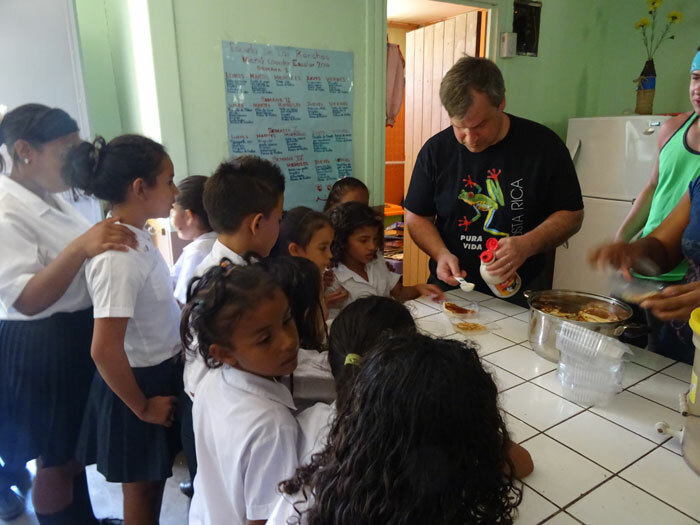 We shared a traditional Costa Rican lunch with the students and for dessert we brought and served pancakes with real maple syrup, which was definitely a hit with all the children!! My son, who loves to play soccer, enjoyed playing a game with the students during recess. 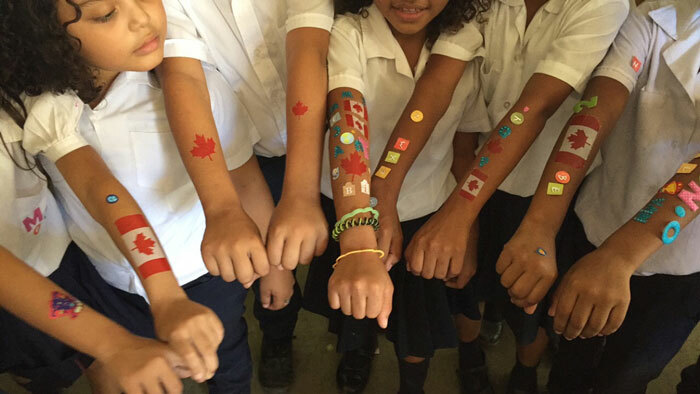 The children’s faces lit up when we handed out stickers and Canadian flag tattoos. It didn’t take long before the kids were covered in them! We enjoyed being able to help out in this capacity and would encourage anyone who has upcoming travel plans to make space in your luggage to bring much needed supplies to other countries in need. It’s such a little thing, but means so much to the people receiving them. My husband and I are travelling to Dominican in November 2016 for a family member’s wedding and we are once again partnering with Pack for a purpose to bring needed supplies to the area.